When the British swimming funding lists were announced back in October there was little of the public complaint that had accompanied the 2014 version. That was despite there being a significant turnover in the podium performance list, with 7 of the 21 spaces taken by new swimmers, a third of the total available. Why is this important for Rio? Well in one respect it doesn’t matter at all. It’s almost certain that there will be swimmers from outside the podium performance group on the plane to Rio, and equally that swimmers who receive no UK Sport funding will go to the Olympics. 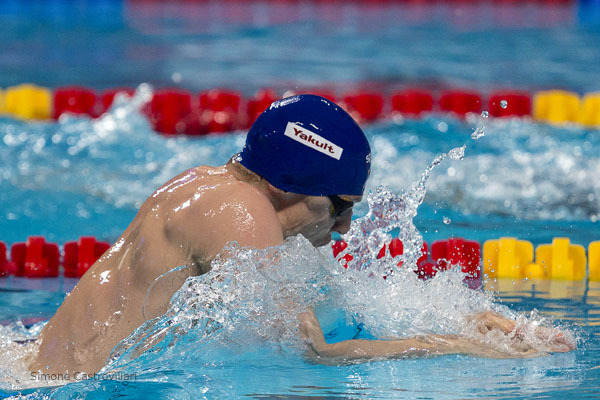 The likes of Georgia Davies, Roberto Pavoni, Jemma Lowe et al will all fancy their chances of making the selection grade in Glasgow in a little over a week’s time. Where the list is interesting is in what it tells us about where British Swimming thinks the medals are going to come from in Rio. After all, that’s the aim of the funding game and the only way to secure the next tranche of financial support. If the performances and the medals don’t come, the money doesn’t either so it is only logical that those thought likely to deliver the performances get the cash. So it’s of little surprise that the list is dominated by those who won medals in Kazan; there’s lots of empirical evidence that performing well at the worlds is an indicator of Olympic success. That also means a slight shift in emphasis from the men’s medley relay to the men’s 4×200 team, with all 6 of the squad that won world championship gold last year funded. The other key point to note is that the selection policy for Rio delivers Bill Furniss and Chris Spice a significant element of discretion. Up to 6 of 30 available spaces can be filled with discretionary picks – that’s 20% of the team – and critically they can be picked before the selectors look at swimmers who didn’t make the automatic qualifying time. It seems unlikely that somebody could come from out of left field in Glasgow and secure a coaches’ pick from nowhere, so the people that are on the radar already are likely to be at the forefront of thinking when it comes to filling the team. Not that there should be any suggestion of conscious bias, but the old maxim of “better the devil you know” is bound to have some weight here, even if unconsciously. For the rest of those who are funded and didn’t win medals last year, excluding the non-Olympic events, Aimee Willmott, Ben Proud, Dan Wallace, Francesca Halsall and Hannah Miley should probably be expected to make it through the automatic selection procedure in their main events whereas Chris Walker-Hebborn, Lauren Quigley, Liam Tancock and Stephen Milne may need to step up a little for automatic qualification given the relative strength of the qualifying times in their main events. However they all have strong relay credentials, in the medley and 4 x 2, so provided they show good form at trials they may avoid the percentage based battle for remaining places. For those relays, there’s the added complication of a change in the rules that means relay alternates, if selected, must swim. That means the depth in the squads could be critical, and given there’s likely be an aim to save James Guy for a final, it would be a surprise if at least one if not two additional swimmers are taken for the men’s 4×200; only the top 4 at trials are guaranteed their spots. Any additional swimmers for relays, who are not otherwise qualified, will come out of that pool of 6. When all is said and done, the most likely scenario is that Olympic places will be decided in the waters of Tollcross and not across a meeting room table, but even so, the indications are that the funded 21 should be expected to be at the head of the queue. Just don’t rule out a few surprises. Great article although I think it’s highly unlikely that discretionary picks will be used in the male 200 free relay. Looking at the rankings alone the top seven male 200 freestylers could consider themselves to be selected already, as the 200 free at trials is the last event. I think it difficult to imagine anyone breaking into the top seven ranked swimmers but there would be an 8th lane in the final at Trials. If Jay Lelliott was to make up the eight, then he could also consider himself selected already for his 1500 free. I can see a situation that all eight finalists in the male 200 free open final at Trials, will consider themselves already selected in other events. That would mean a male 200 free relay ‘squad’ of seven swimmers (possibly eight) and therefore no need for discretionary picks. This is based on rankings and current form and as you say the top four at Trials will go to Rio no matter what. Tbh I’m struggling to see anyone breaking into the top seven ranked swimmers although the 8th final spot at Trials may be up for grabs. Very true, although the 100 Free bar has been raised recently. Personally I’d be very surprised if there isn’t a male 100 free team going to Rio.